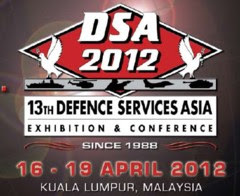 TRD (Singapore) is highlighting two variants of its Orion counter-UAS (C-UAS) equipment at ADAS. 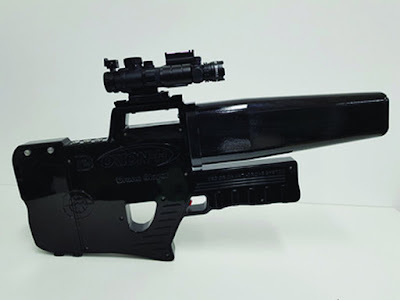 The first is the lightweight Orion-H handheld jammer gun (pictured). Weighing less than 2.5kg, it is claimed by the OEM to be the lightest available on the market. TRD describes the Orion-H as an ‘all-weather jammer gun [that] has a selectable function for three band frequencies that can take down any commercial drones within seconds or send them home within the range that our eyes can see.’ Launched late last year, the Orion-H is a bestseller for the company. The second C-UAS system is the Orion-I manpack with integrated detection and jamming capabilities. 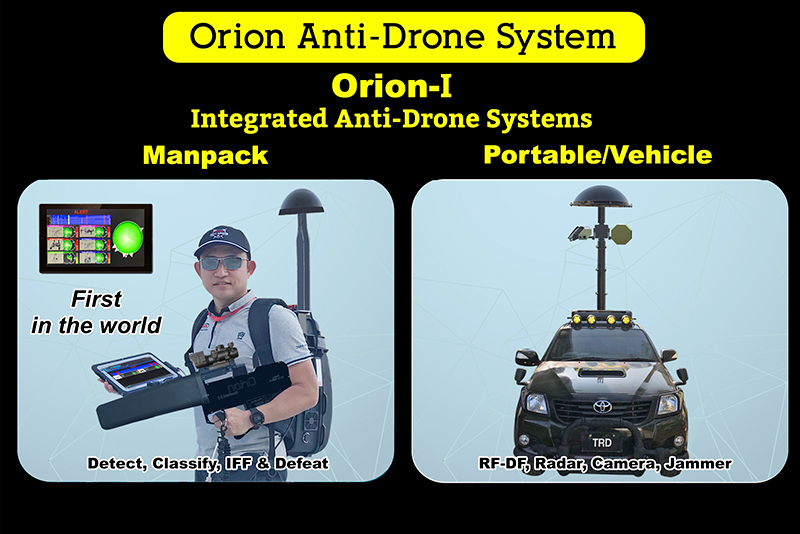 It essentially combines the Orion-H with a manpack-sized system that uses passive radio frequency detection to classify, pinpoint and identify UAS. The Orion-I was launched at February’s Singapore Airshow, and TRD said it has had a ‘great response’ from militaries and homeland security agencies in the Asia-Pacific region. TRD began developing C-UAS technologies in 2014. Other products listed in its catalogue are the Orion 7, Orion 9 and Orion-D. The latter is available in manpack, vehicle and fixed-site variants. The Philippine Air Force (PAF) is to acquire a local state-owned enterprise to support efforts to enhance its maintenance, repair, and overhaul (MRO) capabilities. A senior PAF officer told Jane’s on 26 September that the government was preparing to transfer the Philippine Aerospace Development Corporation (PADC) from the Department of Transportation (DoTr) to the PAF. The officer said the transfer is currently subject to legal preparatory work and is expected to be finalised soon. The transfer is supported by a memorandum of understanding (MoU) between the DoTr and the Philippine Department of National Defense (DND), which was signed in March 2018. The Department of Defence has begun the process of acquiring new light helicopters for Army special forces support with the release of a request for information (RFI). “The helicopters are to be proven (already in service) commercial or military off-the-shelf, optimised for operating in dense urban environments, and capable of being rapidly deployed by air transport in ADF Boeing C-17A Globemaster III aircraft,” the RFI, released on the Australian Government’s AusTender website on Tuesday, reads. The project is in an exploratory phase, the RFI notes, and will evaluate “a wide range of procurement options based around a light helicopter as the major system”. The AusTender website lists a timeframe for delivery of the capability of “approximately 2023”. A project to acquire a light helicopter for special operations support was first flagged in the 2016 Defence White Paper. 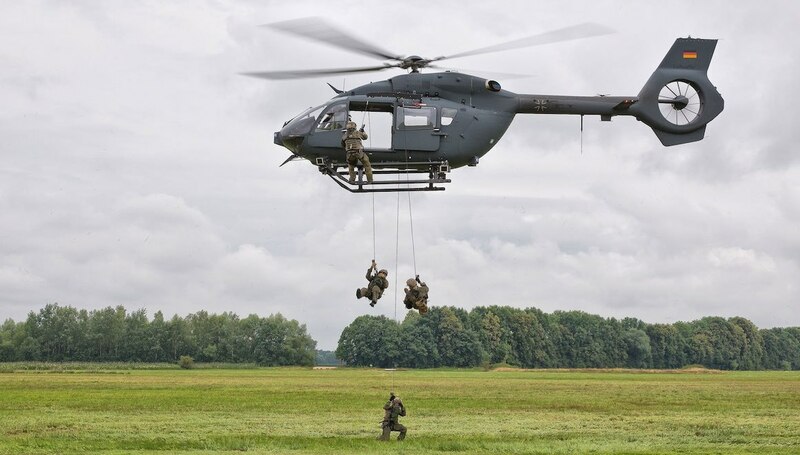 The Integrated Investment Program listed a program timeframe for the special forces helicopter as 2019-2028 with a budget range of $2-3 billion. “The new helicopters will likely feature some light armament and modern intelligence, surveillance, reconnaissance and communications capabilities for integration with the joint force,” the Integrated Investment Program read. The US Army’s Boeing AH-6/MH-6 Little Bird series or the Airbus Helicopters H135M (which would also bring commonality benefits with the H135s/EC 135 T2s recently acquired for Defence helicopter pilot training) or H145M could be among the types offered for the requirement. 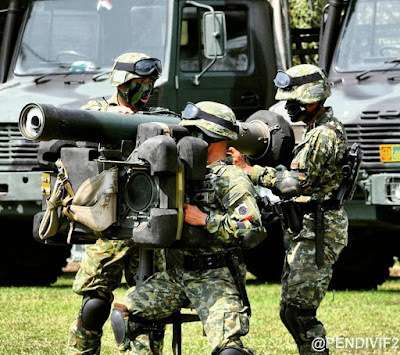 (Penkostrad). Prajurit Yonarhanud 1/1Kostrad dipimpin langsung Komandan Batalyon Letkol Arh Choirul Huda S.Sos berhasil menyabet perhargaan sebagai satuan terbaik dalam ajang Latihan Menembak Senjata Berat (Latbakjatrat) di Ambal Kebumen, Jawa Tengah Rabu (26/9/2018). Latihan ini bertujuan untuk melatih dan menguji keprofesionalisme dan kemampuan prajurit dalam mengoperasikan dan menembakkan Alutsista baru Mistral yang didatangkan dari Perancis. 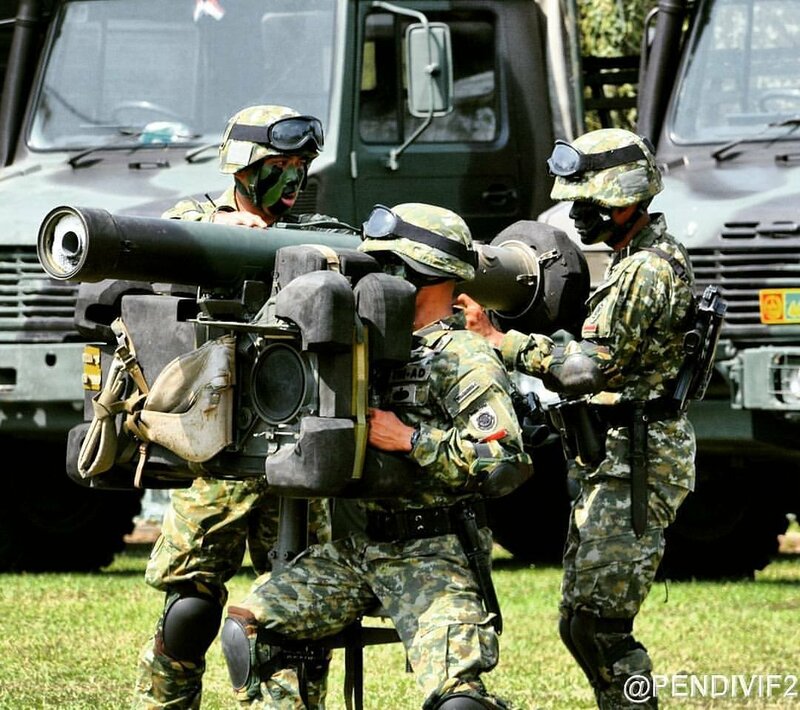 Dalam latihan ini Yonarhanud 1/1 Kostrad mampu menunjukkan integritas dan profesionalitas yang tinggi dalam melaksanakan tugas dan mengoperasikan Alutsista dengan maksimal. Pratu Gani yang mengawaki Alutsista MPCV dan Praka Guntur yang mengawaki Alutsista Atlas berhasil menembak jatuh sasaran udara (Sasud) sehingga membuat seluruh prajurit Yonarhanud 1/1 Kostrad meneriakkan dan menyanyikan Mars Rajawali dan Kostrad sebagai simbol prajurit yang terlatih dan professional. Danyon Letkol Arh Choirul Huda S.Sos mengucapkan terima kasih kepada anggotanya atas keberhasilan ini, dan berpesan tetap profesional dan tangguh untuk mengawaki Alutsista Mistral ini, laksanakan apa yang sudah diarahkan, selalu percaya dengan kemampuan diri sendiri sehingga akan mendapatkan hasil yang terbaik. The Philippine Air Force (PAF) has budgeted PHP61 billion (USD1.1 billion) to procure a multirole combat aircraft over the next five years, a senior PAF official told Jane's at the Asian Defence and Security (ADAS) 2018 exhibition in Manila. Other procurements in this time frame include attack helicopters, long-range patrol aircraft, additional FA-50 light fighter aircraft from Korea Aerospace Industries (KAI), additional Airbus C295 transport aircraft, combat-utility helicopters, and unmanned aerial vehicles. However, the official stated that the PAF regards the MRF project as its priority. "We needed it yesterday," he said. 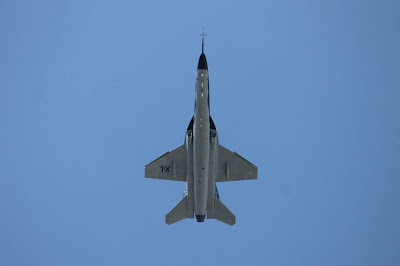 The officer also added that although the PAF has acquired 12 FA-50 light fighters, which it ordered in 2014, a bigger, more capable fighter platform is required as part of efforts to enhance territorial defence across the Philippines' expansive exclusive economic zone (EEZ). 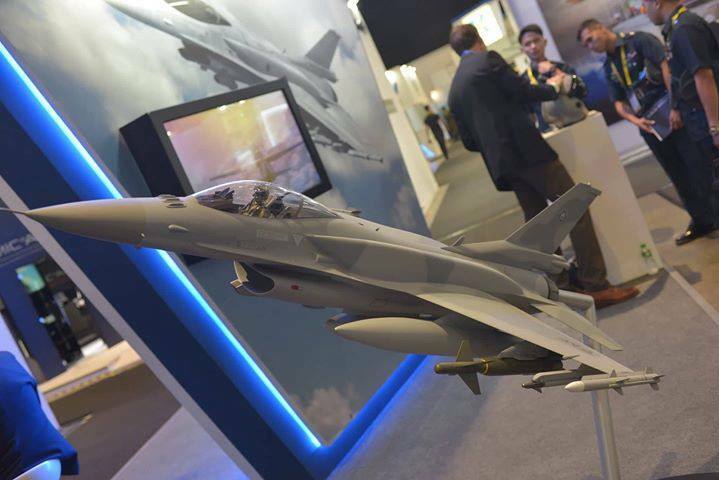 This requirement is specifically outlined in the PAF long-term modernisation project, which is aligned with the three five-year procurement horizons, called Flight Plan 2028. The PAF has been without a dedicated air-combat platform since it retired its fleet of Northrop Grumman F-5 Tiger fighter aircraft in 2005. Since then it has used its Aermacchi S.211 trainers - acquired in the 1990s - and its FA-50s for related missions. Jane's understands that the PAF issued a request for information (RFI) in support of the MRF programme in mid-2017 and the service is evaluating submissions and fine-tuning its requirements before seeking presidential approval. TNI AU. 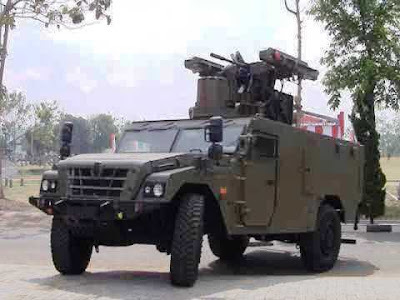 Pesawat tempur Hawk Mk-109 TL-0101 milik Skadron Udara 12 Lanud Roesmin Nuryadin, Pekanbaru, Riau untuk melaksanakan pemeliharaan Major Servicing. Setelah hampir beberapa lama dilaksanakan pemeliharaan Major Servicing di Sathar 32 Depohar 30 Lanud Abd Saleh, Kamis pagi (27/9) diserahkan kembali untuk kembali ke home basenya bertempat di lapangan apel Sathar 32 Depohar 30 yang ditandai dengan penandatanganan berita acara penyerahan oleh Komandan Depohar 30 Kolonel Tek Ir. Isdwiyanto., S. IP., M.Si (Han) yang diwakili Kepala Dinas Perencanaan dan Pengendalian Pemeliharaan (Kadisrendalhar) Depohar 30 Letkol Tek Yani Prasetyo,S.T., M.M. kepada test pilotnya Mayor Pnb Putut Hanggiro disaksikan oleh Kadisbin Depohar 30 Letkol Tek Windu Kastawa, Komandan Sathar 32 Mayor Tek Slamet Riyanto, S.T. beserta anggotanya. 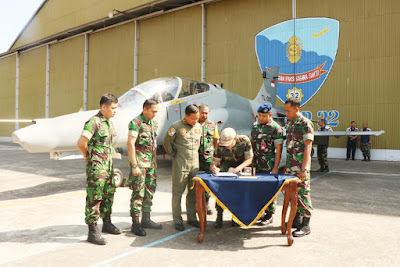 Pesawat Hawk Mk-109 merupakan pesawat tempur ringan buatan Inggris British Aerospace (BAE) dengan nomor seri IS-030 dan nomor Registrasi TT-0101 masuk ke Sathar 32 untuk pemeliharaan major servicing yaitu suatu pesawat apabila sudah melaksanakan 2000 jam terbang maka pesawat tersebut diharuskan melaksanakan pemeliharaan tingkat berat. Satuan Pemeliharaan 32 (Sathar 32), satuan pelaksana dibawah Depo Pemeliharaan 30 (Depohar 30) Lanud Abdulrachman Saleh Malang mempunyai tugas melaksanakan pemeliharaan/perbaikan tingkat berat beragam pesawat tempur dari Super Tucano, Hawk 100/200 dan pesawat Cassa C-212. Pada pagi tadi pesawat Hawk Mk-109 dengan tail number TL-0101 akan melaksanakan fery flight dari Lanud Abdulrachman Saleh ke homebasenya Skadron Udara 12 Lanud Rusmin Nuryadin Pekanbaru Riau akan tetapi akan transit ke Pontianak lanud Supadio terlebih dahulu dengan Test Pilot Mayor Pnb Putut Hanggiro dan Kapten Pnb Arie Prasetyo dengan ditandai dengan melakukan terbang low pass diatas lapangan apel Sathar 32 Depohar 30 Lanud Abd. Saleh. Pesawat telah tinggal landas dari Lanud Abd. Saleh pada pukul 03:16 UTC / 10:16 WIB dan ETA (Estimate Time Arrival) di Lanud Supadio Pontianak pukul 04:36 UTC / 11:36 WIB. The Department of Defence has entered into a contract with Hawker Pacific as prime contractor for the delivery of a substantially upgraded version of the Air Combat Officer Training System. Minister for Defence, the Hon Christopher Pyne MP said the new system will be another significant advancement in our mission aircrew training. “The next generation system comprises both ground training consoles and airborne mission aircrew training equipment and will enable the Royal Australian Air Force (RAAF) to train mission aircrew through to December 2024,” Minister Pyne said. Hawker Pacific has in turn contracted with Australian SME, Cirrus Real Time Processing Systems, who originally developed a prototype Air Combat Officer Training System, based on Cirrus simulation technology and which has since been extensively upgraded through close collaboration between Cirrus and the RAAF’s instructors at No1 Flying Training School. “The original system came into operational service with the RAAF in 2011 and has been used both within the B300 King Air training aircraft of No 32 Squadron and within ground based training facilities at No 1 Flying Training School,” Minister Pyne said. Hawker Pacific Pty Ltd provides integrated aviation solutions in the Asia Pacific region with more than 40 years’ experience serving corporate, government and private customers. The company maintains facilities in South-East Asia, Australia, New Zealand and the Middle East. Cirrus Real Time Processing Systems is an Australian company active since its establishment in 1996 in the development, supply and support of high technology defence systems for the ADF, covering sensor, simulation and communications systems. The Philippine government has ordered one H145 helicopter for Philippine Coast Guard (PCG), Airbus said September 26. Airbus noted that this is the first H145 helicopter that will serve in the Philippine government. “Philippine Coast Guard has placed an order for one H145 helicopter, making it the first H145 parapublic operator in the Philippines,” Airbus said. 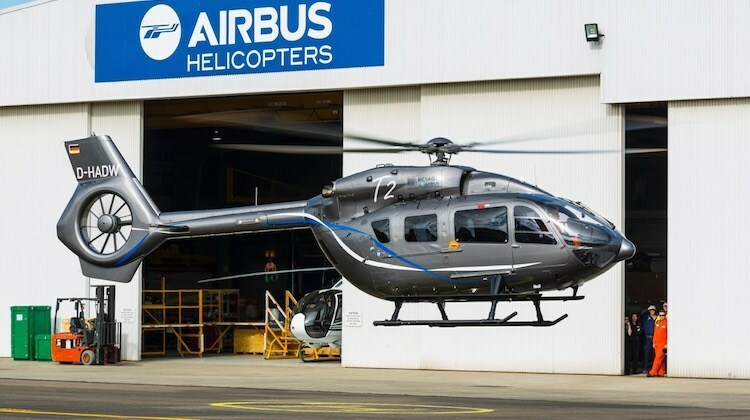 Airbus said that the new 4-tonne-class twin-engine helicopter is specially equipped with high frequency radios, emergency flotation gear, fast roping, cargo sling, search light, and electro-optical systems to perform critical missions including search and rescue, medical evacuation, maritime patrol and law enforcement. 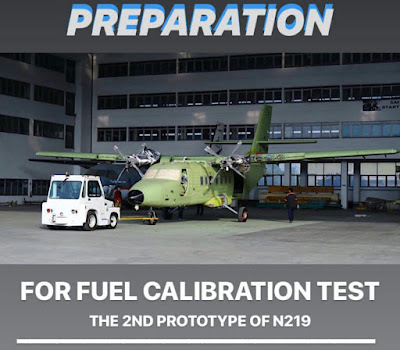 “The latest contract will also encompass on-site technical support and continuing airworthiness management organisation services, fully supported by Airbus’ team in the country,” it noted. “We are honoured by the Philippine Coast Guard’s decision to introduce the country’s first parapublic H145 into its fleet, as the perfect complement to the current workhorse BO105 which has served the agency well for the past 40 years. We have full confidence in the H145’s ability to support the agency’s work, coupled with our dedicated in-country customer centre which stays committed to supporting its operations in close proximity,” said Philippe Monteux, Head of Southeast Asia and Pacific of Airbus Helicopters. 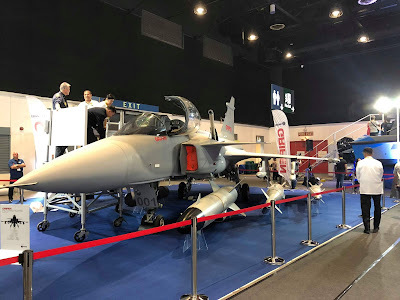 Boeing teamed up with Sweden’s Saab AB (SAABb.ST) to develop a new plane for the competition, beating out Lockheed Martin Corp (LMT.N) and Leonardo DRS (LDOF.MI). The Air Force currently plans to purchase 351 of the jets and 46 simulators. 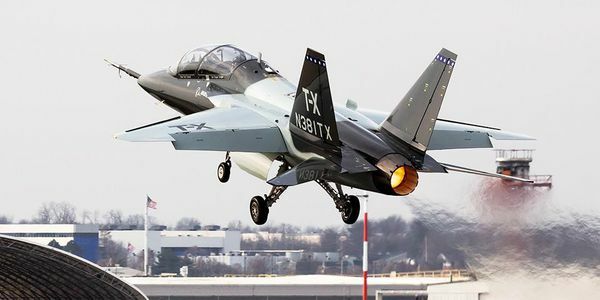 Additional purchase options on the $9.2 billion contract, first reported by Reuters, could allow the Air Force to buy as many as 475 of the jets and 120 simulators. The service expects the first jets to be delivered in 2023 with the program to reach full operation in 2034. 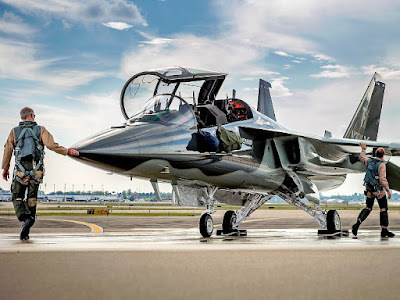 In its bid, Lockheed had offered a modified version of its T-50 training jet developed jointly with Korea Aerospace Industries Ltd (047810.KS) while Italy’s Leonardo DRS had offered the T-100, a modified version of the Italian aerospace company’s M-346. The Air Force wants to replace its aging fleet of T-38 planes, which are nearly 50 years old. Analysts have said it could eventually buy up to 600 planes. Winning the contract is significant for Boeing, which reorganized its defense business more than a year ago in the hopes of a “franchise level” victory such as the trainer. Landing big defense contracts had been difficult for Boeing, but Leanne Caret, chief executive of Boeing’s Defense, Space & Security since February 2016, has helped the company win more contracts. The award from the Air Force comes after Boeing has had trouble delivering to the Air Force its new in-air refueling jet, the KC-46. 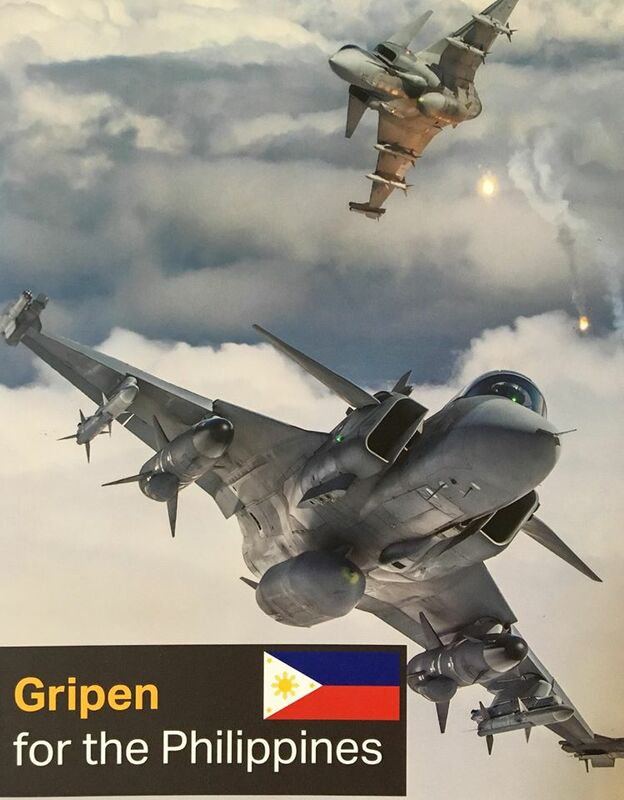 In a statement Saab said the award means Boeing can now begin placing orders with its suppliers, including Saab, but has not done so yet. Saab said that more than 90 percent of Boeing’s offering will be made in America, supporting more than 17,000 jobs in 34 states. Dutch shipbuilder Damen Schelde Naval Shipbuilding is looking to establish within the Philippines a similar industrial footprint to the profiles it has developed in neighbouring Indonesia and Vietnam, Roland Briene, Damen’s Asia-Pacific area director, told Jane’s on 27 September. 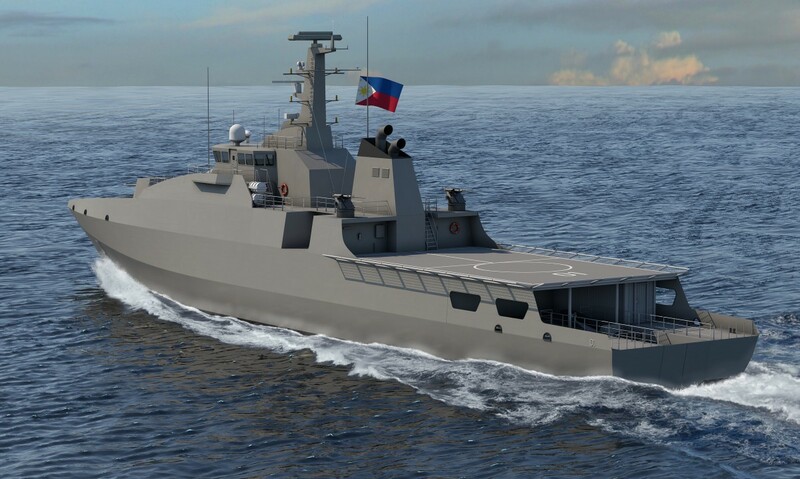 The strategy is centred on collaborating with local shipyards, and Briene said Damen is currently talking to two or three shipbuilding companies in the Philippines with a view to forming a partnership that would pursue naval and commercial ship construction opportunities in the country. 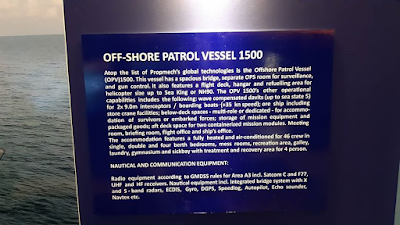 Atop the list of Propmech's global technologies is the Offshore Patrol Vessel (OPV) 1500. This vessel has a spacious bridge, separate OPS room for surveillance, and gun control. It also features a flight deck, hangar and refuelling area for helicopter size up to Sea King or NH90. 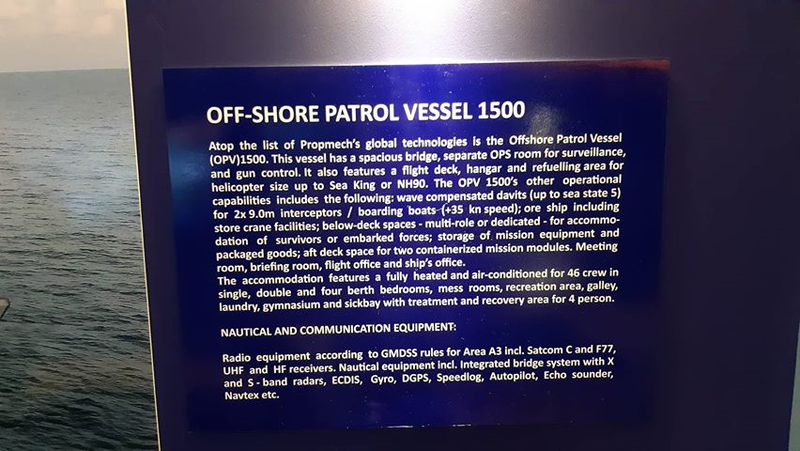 The OPV 1500's other operational capabilities includes the following : wave compensated davits (up to sea state 5) for 2x 9.0m interceptors / boarding boats (+35 kn speed); ore speed including store crane facilities; below-deck spaces - multi role or dedicated - for accomodation of survivors or embarked forces; storage of mission equipment and packaged goods; aft deck space for two containerized mission modules. Meeting room, briefing room, flight office and ship's office. The accomodation features a fully heated and air-conditioned for 46 crew in single, double and four berth bedrooms, mess rooms, recreation area, galley laundry, gymnasium and sickbay with treatment and recovery area for 4 person. Radio equipment according to GMDSS rules for Area A3 incl. Satcom C and F77, UHF and HF receivers. Nautical equipment incl. 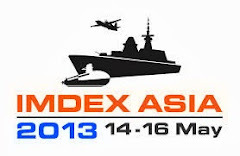 integrated bridge system with X and S-band radars, ECDIS, Gyro, DGPS, Speedlog, Autopilot, Echo sounder, Navtex etc. Kebumen - Ratusan prajurit TNI Angkatan Darat (AD) dari Sabang sampai Merauke yang tergabung dalam Artileri Pertahanan Udara (Arhanud) menggelar latihan menembak bersama di Kebumen, Jawa Tengah. 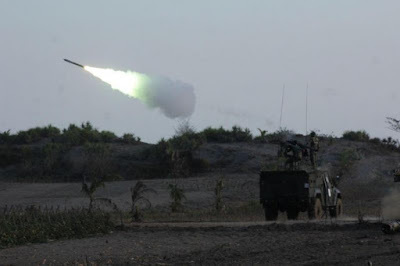 Latihan dalam rangka meningkatkan keterampilan prajurit TNI tersebut akan berlangsung selama sepekan ke depan. Latihan menembak senjata berat terintegrasi antar kesenjataan yang dimiliki oleh kesatuan Arhanud tersebut dilaksanakan di area Pantai Bocor, Desa Setrojenar, Kecamatan Bulus Pesantren pada Selasa (25/9/2018). Sedikitnya 350 personel yang tergabung dalam 16 kesatuan dari seluruh wilayah Indonesia mencoba 8 senjata berat berupa meriam dan rudal. "Hari ini khususnya untuk kesatuan korps Arhanud melaksnakan latihan program menembak secara terintegrasi antar kesenjataan yang dimiliki oleh korps Arhanud. Diikuti oleh seluruh perwakilan se Indonesia yang jumlahnya ada 350 personel," kata Dankodiklat TNI AD Letjend A.M Putranto yang ditemui detikcom di sela-sela latihan, Selasa (25/9/2018). Sesuai rencana lanjut dia, latihan akan dilaksanakan hingga tanggal 30 September 2018 mendatang. 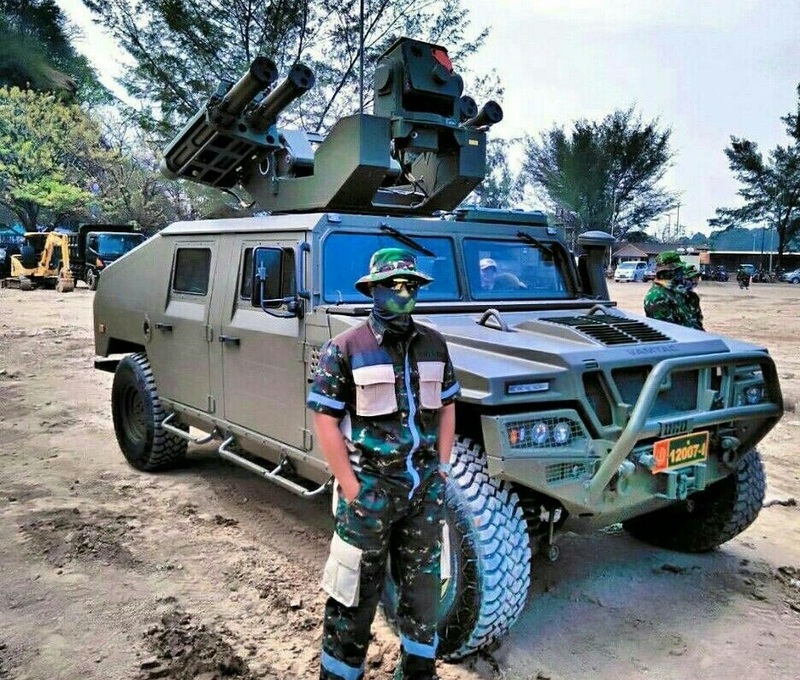 Empat senjata baru jenis rudal dan 4 meriam ditembakkan ke udara untuk menghancurkan sasaran berupa pesawat terbang tanpa awak yang dikendalikan dengan remot kontrol. Adapun jenis rudal yang digunakan adalah sistem rudal mistral, sistem rudal starstreak, sistem rudal poprad, dan sistem rudal RBS 70. Untuk meriam yang digunakan adalah meriam kaliber 57 mm S 60, kaliber 40 mm S 70, kaliber 23 mm ZUR, serta kaliber 20 mm RH. 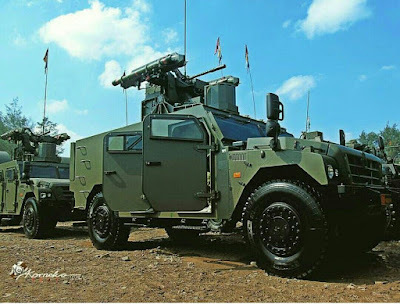 "Dari 8 jenis senjata itu ada 4 yang terbaru yaitu rudal, ada rudal mistral, starstreak, poprad, dan rudal RBS 70. Tadi saya juga ikut mencoba memang itu senjata sangat luar biasa dan itu yang diinginkan oleh Angkatan Darat, senjata yang kita miliki semakin hari semakin bagus ya. Dalam latihan ini yang terpenting adalah faktor keamanan," lanjutnya. Sementara itu, Direktur Pembinaan Kesenjataan Pusen Arhanud Kolonel Ariyanto mengatakan jarak tembak efektif dari rudal dan meriam tersebut bisa mencapai 7 KM. Kedua senjata itu, digunakan untuk mengatasi dan menghancurkan segala bentuk ancaman dari udara berupa pesawat dan lain-lain. 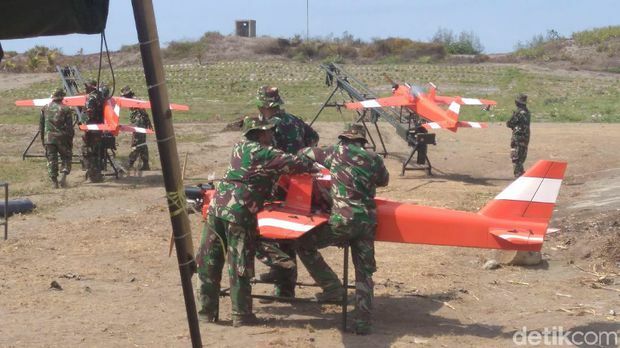 "Jadi senjata rudal dan meriam tersebut memang untuk mengatasi wahana udara atau menghancurkan semua wahana udara baik itu pesawat, UAV, melawan roket arteleri maupun mortar," katanya. 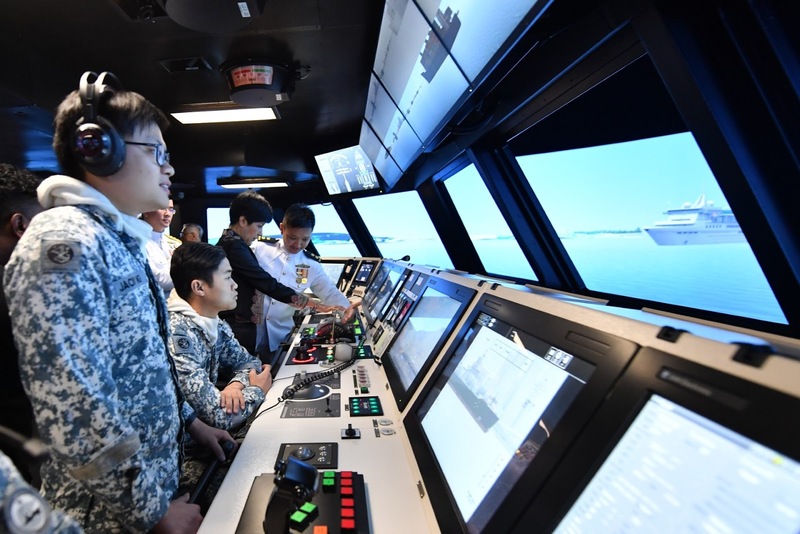 The Republic of Singapore Navy (RSN) has inaugurated a dedicated simulation centre designed to provide nearly the full spectrum of instruction, from operator component training to full-mission rehearsals, to crews assigned to its Independence-class Littoral Mission Vessels (LMVs). The new LMV Simulation Centre (SIMCEN) is operated by 182 Squadron – an operational component of the Singapore Armed Forces’ Maritime Security Task Force (MSTF) – and has been christened RSS Daring, a name that had earlier been assigned to a Fearless-class patrol vessel that was decommissioned on 19 July after 21 years of service. 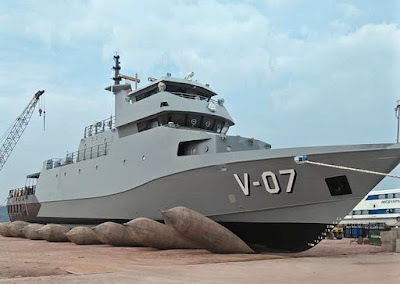 The LMV SIMCEN is located at the western Tuas Naval Base, where the LMVs are also homeported, and has been jointly developed by the RSN and the Defence Science and Technology Agency (DSTA). It features a tension fabric structure that measures 80 m long and 30 m wide, and houses an instructor operation centre, two full-scale LMV Integrated Command Centre- (ICC) simulation halls, and several briefing rooms. 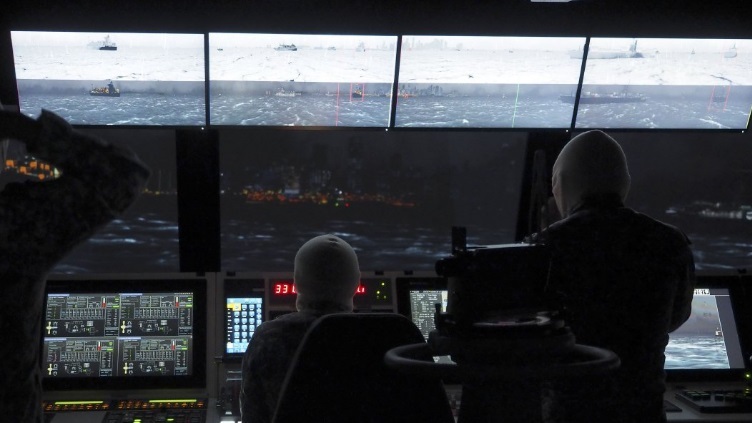 The facility is the first of its kind to be developed for the RSN and is currently managed by a commanding officer and five instructors, who are augmented by artificial intelligence (AI)-assisted systems that enable a single instructor to manage an entire training session. Each ICC simulator replicates the exact functions aboard an LMV’s ICC, which integrates a traditionally separated bridge, combat information centre (CIC), and machinery control room (MCR) functions into a single shared space for increased situational awareness and operating efficiencies in congested littoral environments. Similar to the ICC aboard the LMVs, both simulators comprise seven crew stations – or ʻclusters’ – with engineering and navigation functions located towards the forward section of the ICC, followed by the command cluster where the commanding officer and principal warfare officer are positioned; the surveillance and weapons clusters are situated immediately to the rear of the command cluster. United States-based global aerospace, defense, security and advanced technologies company Lockheed Martin is present at the Asian Defense, Security & Crisis Management Exhibition and Conference (ADAS) 2018 which opened today and will run until September 28. 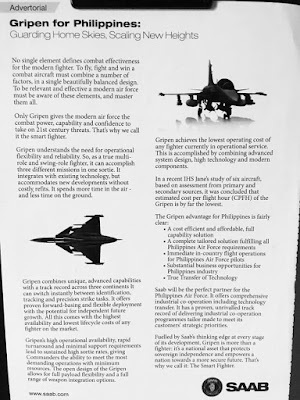 According to MaxDefense Philippines, Lockheed Martin is present mainly for the marketing of F-16V Block 70/72 Viper fighter aircraft to the Philippine Air Force (PAF). “The F-16V Viper was said to be among those offered by the US government to Pres. Duterte to fulfill the Philippine Air Force’s requirement for at least 12 Multi-Role Fighters as part of the Horizon 2 phase of the [Revised Armed Forces of the Philippines Modernization Program],” MaxDefense said. “This was confirmed by LM’s representatives at ADAS 2018, and that they are hoping that the PAF and DND pick their product,” it added. 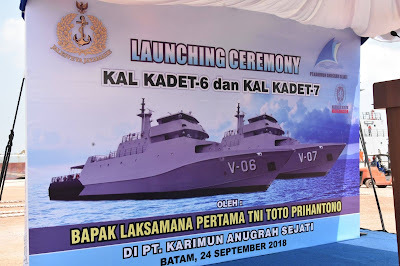 Batam: TNI Angkatan Laut meluncurkan Kapal Perang Republik Indonesia (KRI) Bontang di kawasan industri galangan kapal, Batamec Shipyard, Kota Batam, Rabu, 26 September 2018. 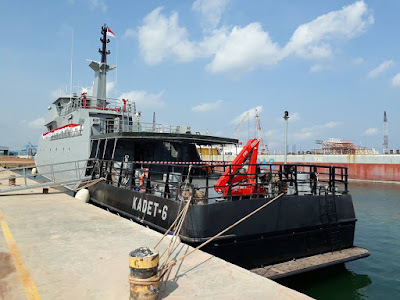 KRI jenis kapal bantu cair minyak ini dioperasikan untuk mendukung formasi kapal tempur TNI AL di laut. 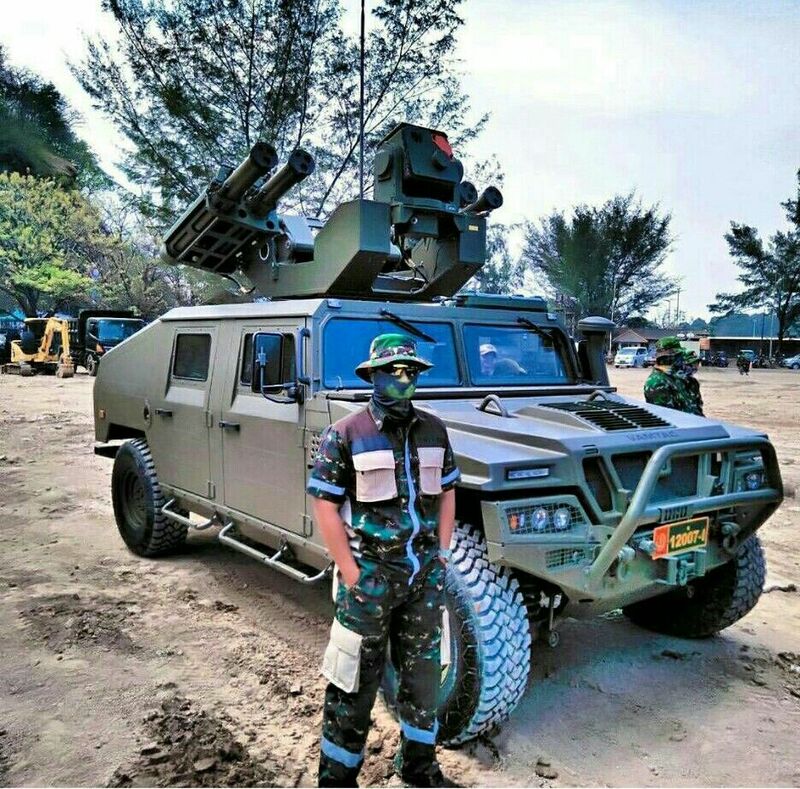 Kepala Staf TNI Angkatan Laut (Kasal) Laksamana TNI Siwi Sukma Adji mengatakan, pembangunan KRI Bontang adalah suatu program pembangunan kekuatan TNI yang telah dirancang dalam program lima tahunan. Program tersebut dirancang sampai tahun 2019 mendatang. "Sebuah kebanggaan bagi kita, KRI Bontang resmi diluncurkan untuk mendukung dan memperkuat operasi pertahanan laut NKRI. Kapal ini akan membantu operasi kapal-kapal tempur TNI AL dalam setiap operasi di wilayah perairan Indonesia," kata Sukma Adji di Batamec Shipyard, Kota Batam. 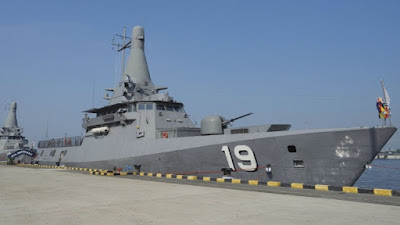 Teknisnya, kata Sukma Adji, KRI Bontang akan membantu ketahanan kapal-kapal TNI AL yang sedang beroperasi di laut. Jika selama ini KRI yang beroperasi kembali dulu ke pangkalan untuk mengisi bahan bakar dan mengangkut kebutuhan lain, kini dengan adanya KRI Bontang, kapal-kapal TNI AL tersebut bisa tetap berada di laut. "KRI Bontang yang akan membantu untuk menyuplai bahan bakar minyak. Sehingga operasi pertahanan wilayah oleh kapal-kapal TNI AL dapat bertahan lebih lama di laut," ungkap Sukma Adji. 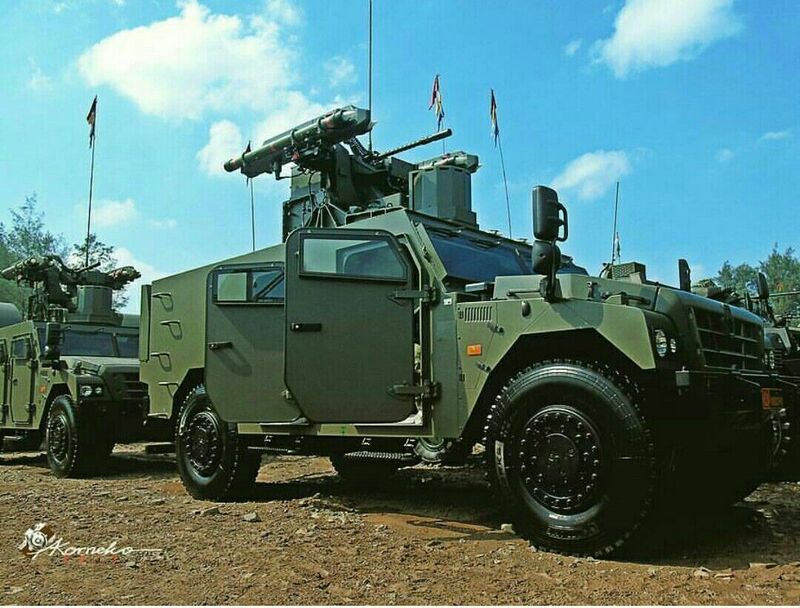 Terkait dengan penugasannya, perwira tinggi TNI AL yang resmi menjabat Kasal pada 23 Mei 2018 ini, mengatakan, disesuaikan dengan proyeksi eskalasi operasi di laut. Wilayah penugasannya selain di perairan Natuna, Provinsi Kepri, juga bisa dikerahkan untuk operasi di Samudera Indonesia maupun Samudera Pasifik. Sekadar diketahui, panjang kapal ini mencapai 125,5 meter dan tinggi 30 meter. Adapun kapasitas minyak yakni 5.500 kubik atau meter persegi. Kelebihan lain yang dimiliki kapal ini yakni kemampuan daya jelajah mencapai 30 hari non-stop, dengan daya tampung kru dan personel mencapai 109 orang. Kapal ini terbuat dari baja yang sebagian besar komponennya berasa dari dalam negeri. Direktur Batamec Shipyard, Mulyono Adi mengapresiasi peluncuran KRI Bontang ini. Pembangunan KRI Bontang dimulai pada tahun 2017 dan ditargetkan selesai pada akhir tahun 2018. Mulyono optimis jika KRI Bontang bisa sangat bermanfaat dan membantu pengamanan wilayah perairan NKRI. "Ini menjadi sebuah kebanggaan bagi kami mampu membangun dan memproduksi kapal di dalam negeri, salah satunya KRI Bontang untuk memperkuat operasi pertahanan laut di wilayah NKRI," jelas Mulyono. Mulyono menjelaskan, pembangunan kapal ini sekaligus momentum strategis bagi Batamec sebagai perusahaan industri galangan kapal di Indonesia. "Ini menunjukkan bahwa anak bangsa mampu menghasilkan karya yang dapat bersaing dengan dunia internasional dalam industri pertahanan," pungkas Mulyono. 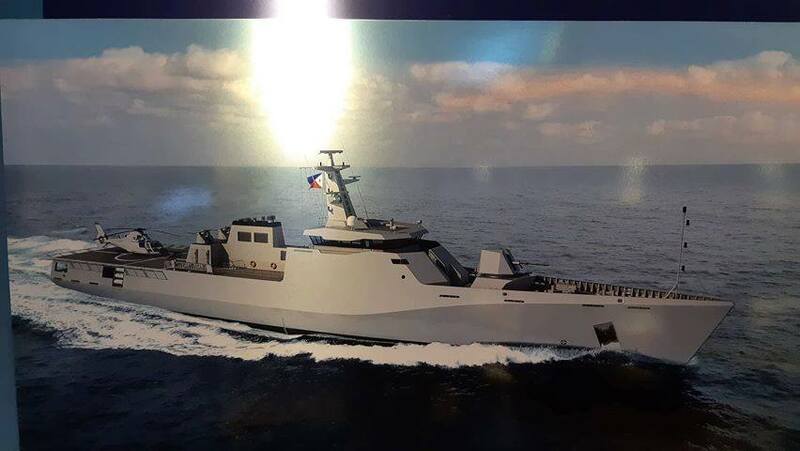 Australia-based shipbuilder Austal has unveiled the initial perspective together with initial descriptions of the proposed offshore patrol vessels (OPVs) for Philippine Navy. The vessels are dubbed to be designed and built in the Philippines, by Filipinos for Filipinos. Austal has a shipyard in Balamban, Cebu. The overall length of the OPV will be 81.7 meters, beam (moulded) will be 13.3 meters, and hull draft (maximum) will be 4 meters. 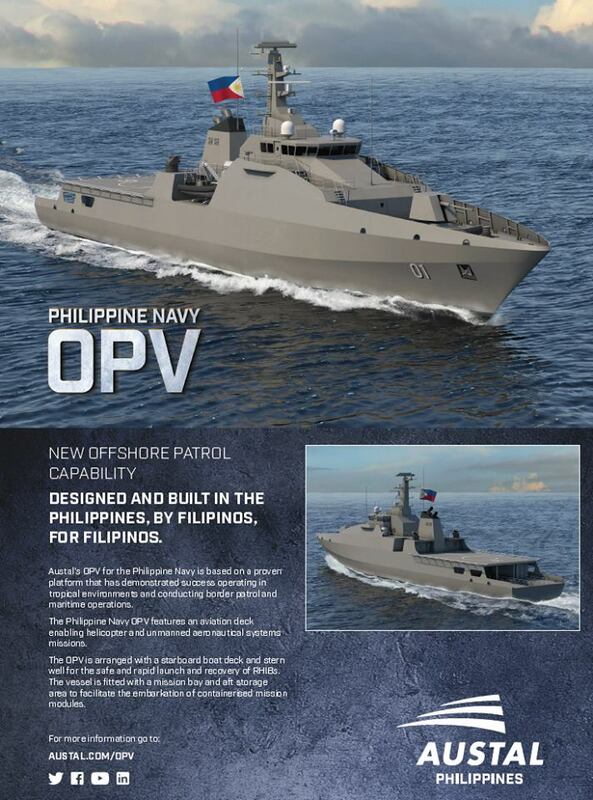 “The OPV is arranged with a starboard boat deck and stern well for the safe and rapid launch and recovery of RHIBs. 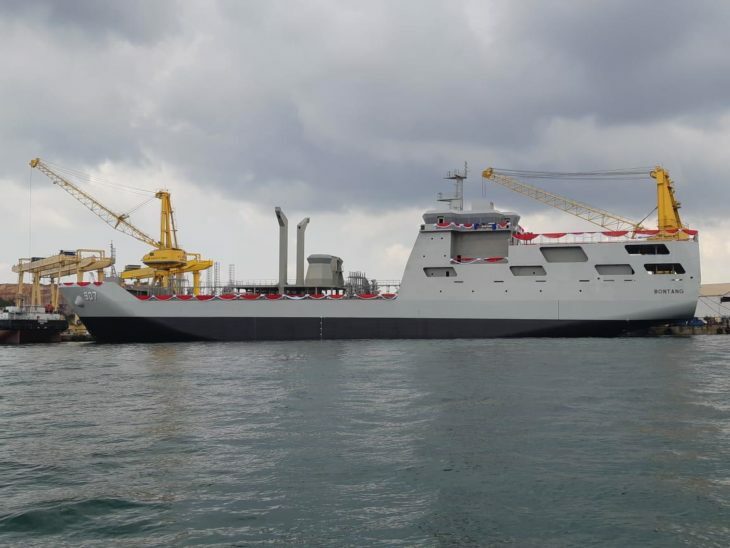 The vessel is fitted with a mission bay and aft storage area to facilitate the embarkation of containerised mission modules,” Austal said. Austal said its OPV for the Philippine Navy is based on a proven platform that has demonstrated success operating in tropical environments and conducting border patrol and maritime operations. Last month, National Defense chief Delfin Lorenzana said that they are in talks with Austal for 6 OPVs which will be built in the country. 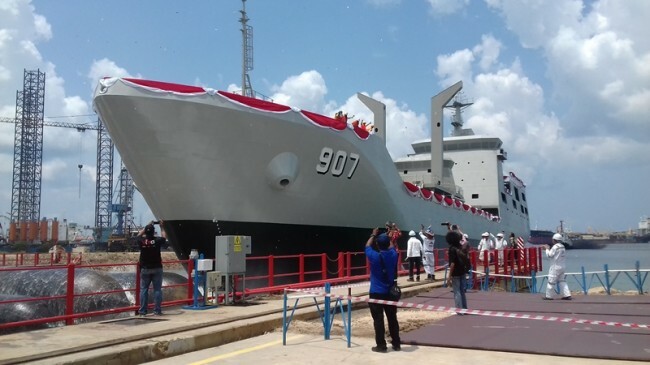 A total of three new ships were launched at two separate shipyards for the Indonesian Navy on September 24 and 25. Shipbuilder PT. 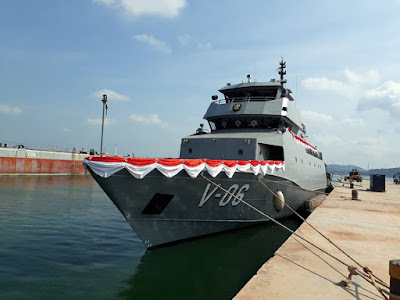 Karimun Anugrah Sejati launched two 45-meter cadet training ships – V-06 and V-07 – on September 24 in Batam. 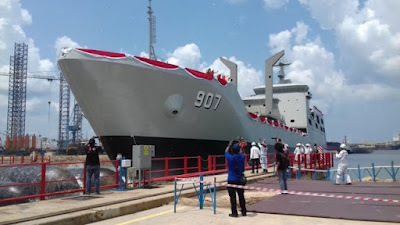 Another Batam-based shipbuilder, Batamec Shipyard, launched the 122-meter oil tanker KRI Bontang (907) on September 25. With 5,550 cubic meters of oil cargo capacity, the ship will join sister ship KRI Tarakan in providing fuel for other Indonesian Navy ships at sea. 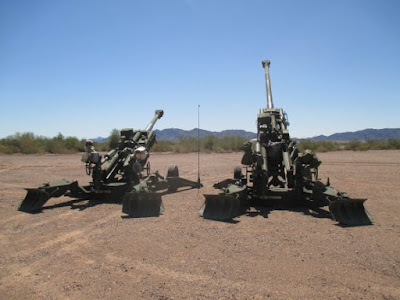 YUMA PROVING GROUND, Ariz. -- The Army fired a modified M777 howitzer double its previous range, bringing the service one step closer to delivering the prototype Long Range Cannon capability. The live fire demonstration, which took place at Yuma Proving Ground on Sept. 19, was a significant step in the Army's effort to rapidly prototype and equip select units with an interim Long Range Cannon solution. This increase in firepower, targeted for Army Infantry and Stryker Brigade Combat Teams and Marine Corps Expeditionary Formations, is a subset of the Army's top modernization priority of Long-Range Precision Fires. "This demonstration highlighted how the Long Range Cannon system-of-systems can achieve ranges with the cannon, projectile and propellant combinations that will help shape the battlefield for battalion and brigade commanders," said Col. Cobb Laslie, the U.S. Army Training and Doctrine Command capability manager for Brigade Combat Team Fires. "The partnership between the organizations that participated in the demonstration is focused on putting the best cannon with the most lethal projectiles into the hands of our Soldiers." The Long Range Cannon's increased range, effectiveness and accuracy of beyond-line-of-sight fires is in direct response to operational needs in the Pacific and Europe, and will deliver air mobile extended range capabilities to light and Stryker units. Complementary to the Extended Range Cannon Artillery, or ERCA, program for Armored Brigade Combat Teams, the Long Range Cannon is also leveraging other Army Long-Range Precision Fires prototyping and programmatic efforts, including existing and experimental munitions and future propellant upgrades. The Long Range Cannon started as the Extended Range M777 project, a partnership between the Army's Program Executive Office Ammunition and the Marine Corps' PEO Land Systems. 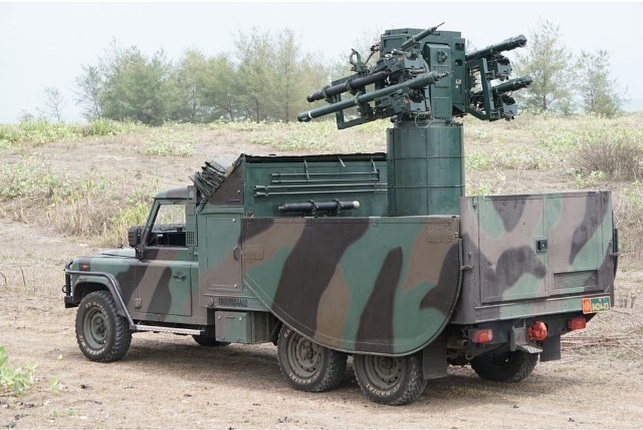 Managed by their Joint Program Office, Project Manager Towed Artillery Systems, the M777 Extended Range leverages technologies being developed by the Armaments Research, Development and Engineering Center for the ERCA program. In 2016, PM-TAS and ARDEC demonstrated the ability to integrate a longer tube into the M777 with minimal modifications to the system. Bisnis.com, JAKARTA - PT Dirgantara Indonesia optimistis sertifikat kelayakan dari Ditjen Perhubungan Udara Kementerian Perhubungan terkait dengan pesawat N219 atau Nurtanio bisa diperoleh tahun depan. Direktur Utama Dirgantara Indonesia Elfien Goentoro mengatakan saat ini masih dalam tahap sertifikasi. 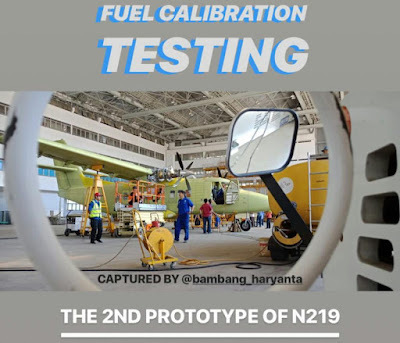 Selain itu, pesawat bermesin turboprop ganda tersebut sudah melakukan uji coba penerbangan. "Mudah-mudahan tipe sertificate ini bisa diselesaikan tahun depan, dan sudah bisa diproduksi," kata Elfien, Selasa (25/9/2018). Dia menambahkan pesawat yang masih dalam bentuk purwarupa tersebut harus diuji coba sesuai standar kelaikan Kementerian Perhubungan. Kendati demikian, sudah ada beberapa pihak yang menjalin framework agreement maupun letter of interest untuk membeli 110 unit pesawat. Pihaknya memperkirakan kebutuhan pesawat pasar dalam negeri untuk 10 tahun ke depan mencapai 235 unit, sedangkan pasar luar negeri bisa mencapai 300 unit. Menurutnya terdapat potensi pasar sekitar 500 unit pesawat yang bisa diisi oleh Nurtanio. Elfien masih fokus untuk membidik pasar dalam negeri terlebih dulu. Nantinya, pesawat tersebut akan digunakan untuk kepentingan mobilitas penumpang dan logistik daerah terpencil (remote area). Terlebih, lanjutnya, memang Nurtanio memiliki keunggulan untuk menjangkau daerah terpencil dengan kapasitas landasan pesawat yang terbatas. 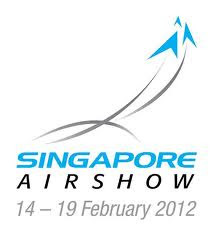 "Pesawat ini bisa take off dan landing di runway sepanjang 400--500 meter. Tanpa aspal bisa, asal tanahnya rata dan keras," ujarnya. The Republic of Singapore Navy (RSN) and the Royal Australian Navy (RAN) participated in the bilateral maritime exercise, Exercise Singaroo, from 14 to 25 September 2018. The closing ceremony was held earlier today at RSS Singapura – Changi Naval Base and was co-officiated by Deputy Commanding Officer of the RSN's Missile Corvette Squadron Senior Lieutenant Colonel Nicholas Tan and Commanding Officer of HMAS Stuart Commander Chris Leece. This year's Exercise Singaroo is the nineteenth in the series since its inauguration in 1995. The exercise was conducted in Darwin, Australia and in the southern reaches of the South China Sea. The RSN participated with two Victory-class missile corvettes, RSS Valiant and RSS Vigour, embarked with ScanEagle unmanned aerial vehicles (UAVs). The RAN deployed one Anzac-class frigate HMAS Stuart, supported by a replenishment oiler HMAS Sirius. 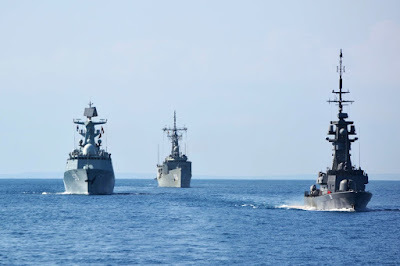 During the sea phase, participating ships and air assets conducted naval surface warfare serials, anti-air gunnery firings, communication exercises and encounter exercises where the UAVs were deployed to provide constant localised surveillance and threat identification. Speaking at the closing ceremony, Commanding Officer of RSS Valiant, Lieutenant Colonel Tan Say Yong said, "Exercise Singaroo is the mainstay exercise for the RSN and RAN. The exercise allows us to build on our friendship and enhance interoperability between our two navies." Exercise Singaroo is one of many bilateral military interactions between the Singapore Armed Forces and the Australian Defence Force, underscoring the close and long-standing defence relations between Singapore and Australia. In addition to bilateral and multilateral exercises, both armed forces also interact frequently through high-level visits, professional exchanges and military courses.